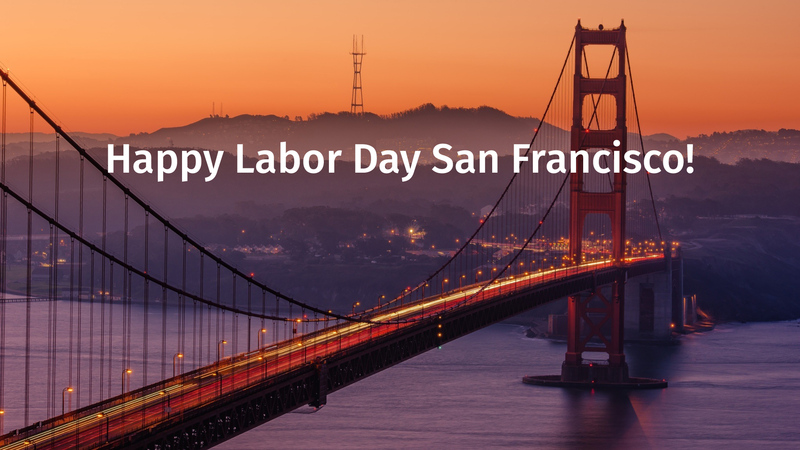 Happy Labor Day San Francisco! Hope you’re enjoying a day off. We’ll be back tomorrow! This weekend, once again it’s all about pride. With over 200 parade contingents, 200 exhibitors, and more than 20 stages and venues, the San Francisco LGBT Pride Celebration and Parade is the largest LGBT gathering in the nation. With the number of newly proposed units of housing to be built in San Francisco having outpaced the number of units where construction has recently been completed, the overall pipeline of apartments and condos under development in San Francisco increased by 2,600 in the first quarter of 2018 to a record 67,800. That’s an increase of 4,200 units over the same time last year. What’s more, according to a recent SocketSite.com post, the number of units in projects which have already broken ground and should be ready for occupancy within the next year or two has ticked up by 475 to 6,750. However, that remains 23 percent below a recent peak of 8,800 — set in the third quarter of 2015. Nevertheless, when building permits and proposals are added to the number of projects currently underway, San Francisco’s Housing Pipeline now totals 67,800 as mentioned. This figure includes 11,450 units of “affordable housing” which are to be offered at below market rates. We all know that living in San Francisco can be expensive. We also know we could cut back on some of our extravagances to save a bit more money, but it’s so hard to do when everything around us is so tempting! Sometimes, you just have to admit the error of your ways, shake your head, and laugh. SFGate.com just published a playful slideshow that presents some of our most silly expenses — though all completely understandable. They call the feature, The things you hate yourself for spending money on in SF. To see the entire list of 24 items, click here. St. Patrick’s Day Is Saturday: Need We Say More? San Francisco has a long history of loving St. Patrick’s Day! This year, as the luck of the Irish would have it, the day itself falls on a Saturday. Perfect! And the ideal way to celebrate the weekend, and St. Patrick’s Day, is to stretch the whole thing out as much as possible. With that in mind, SF.FunCheap.com has published a comprehensive guide to the City’s Irish block parties, festivals, and parades. It starts with an event tomorrow night at the Haight Art Center, and ends on Sunday night with an After Party at the Irish Cultural Center on 45th Avenue. To see the complete list of events, click here. And, as the Irish like to say, may misfortune follow you the rest of your life, and never catch up! Whether it’s raining out, foggy, or just windy and cold, there’s nothing quite like a hot meal, or a hot toddy, and a fire burning in a fireplace to warm you up. SF.Eater.com just posted a guide and interactive map to 29 restaurants and bars in San Francisco that feature a fireplace. Clearly, there are lots of them, and they are located throughout the City! For more details, and more spots to choose from, click here. After watching the Winter Olympics in PyeongChang, South Korea, some may have been inspired to work on their half-pipe skills, perfecting their own versions of Shaun White’s “Double McTwist 1260.” Others of us thought, hmmm, I feel like having some Korean barbecue tonight. To read the entire feature, with descriptions of each restaurant’s best dishes, click here. We were touched by the SF.Curbed.com post — 25 Small Ways to Make SF a Better Place. While you may not buy into all 25 suggestions, you’ve got to admit their heart is in the right place. The illustration that accompanies the post is itself whimsical, uplifting, and wonderful. It’s nice to know that idealism still has a place in our City, and that acts of kindness still carry considerable weight here. The feature explores what you can do in your home, in your neighborhood, on the road, in your community, and with a group. To see all 25 suggestions, along with links to related content or organizations, click here.